Wine cellars are just simply attractive. 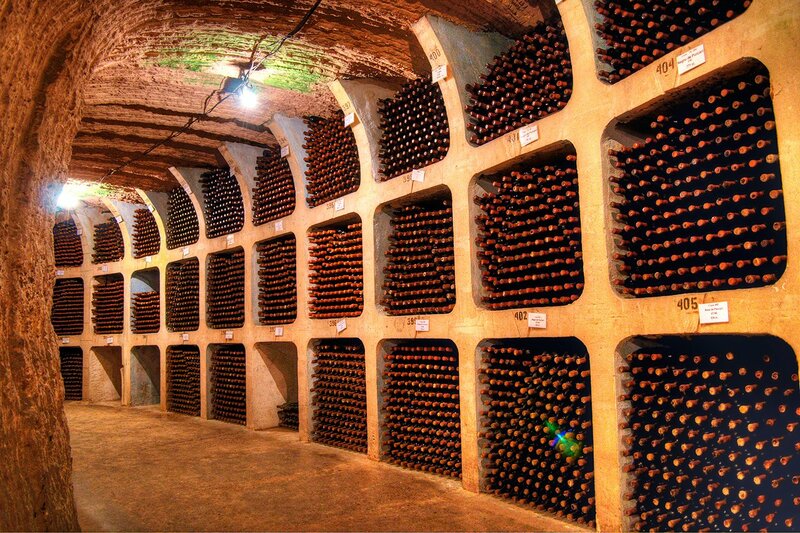 There is something about these cellars that makes us want to stare at it more, not only the wines displayed on it. Wine cellars represent time and patience— the essential factors that were needed for each bottle of wine to be produced. 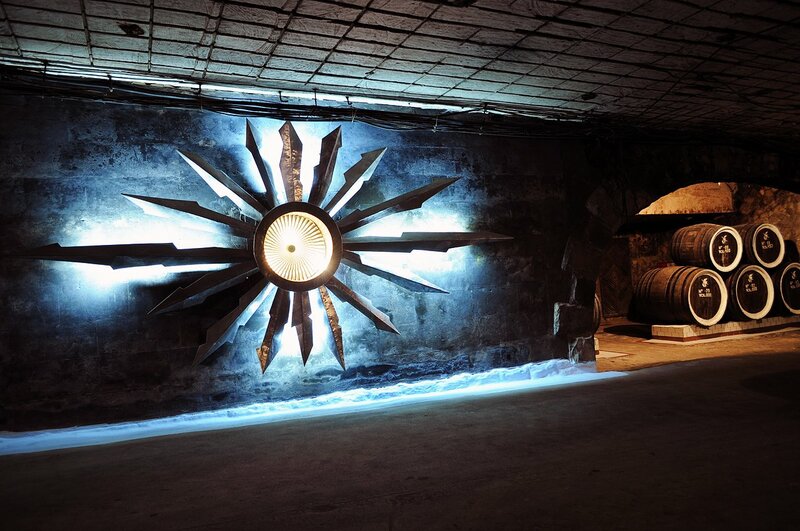 Would you believe that the biggest wine cellar is almost like a city? The Moldovan wine producer, Milestii Mici is so huge that it stretches as far as 250 kilometres, and it is even recognized by the Guinness Book of World Records for the size of its wine collection. 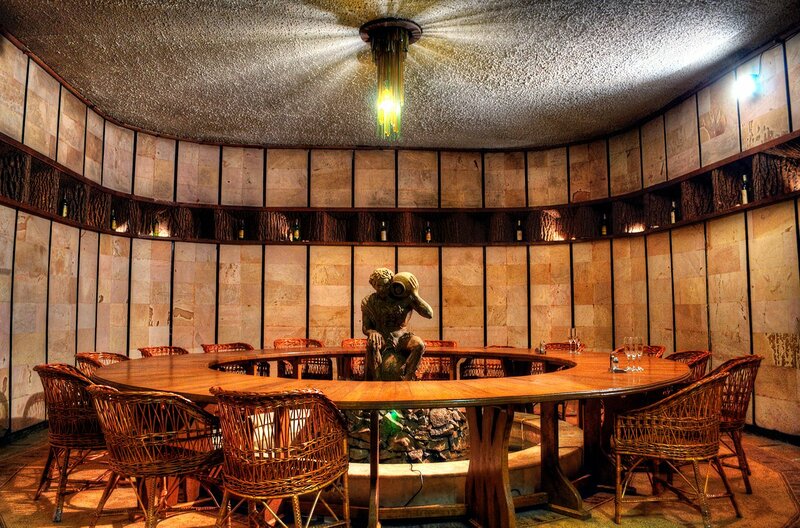 For wine enthusiasts, this gargantuan wine cellar is a pure ecstatic place. Basically, wine production is a huge factor in most of Moldovans’ livelihood. The place was founded back in 1969 primarily to stock, preserve and mature high-quality wines. The cellar provides darkness and maintains a humidity of 85–95% and more or less temperatures of 12°C (54°F)–14°C (57°F) through the whole year. Since wine is a natural product, it should not be exposed to any changes in temperature in order for it not to spoil. Ideally, a wine cellar should be built in the coolest and most humid place. It is very significant then for wines to be properly stored to achieve their quality as well as enhance their aroma and flavour. Inside, the cellar is almost like a maze. Good thing, the numerous tunnels have been given street names after different kinds of wines to help people travel. You’ll definitely need a vehicle to drive from one part of the cellar to the other. Workers even ride a bicycle to get around. The striking “underground kingdom” gives a chilling and emotive sensation for sightseers while drifting through a shady passage along the extensive barrels of wine. And if you ever find yourself thirsty, the most expensive wine you can get there costs a walloping €480 per bottle. The wines kept in Milestii Mici are 70% red, 20% are white and about 10% are dessert wines. With over two million wines available, you will never run out of varieties to choose from. You can choose from the wide selection of ordinary wines, aged wines, sparkling wines, high-quality wines, sparkling wines, collection wines, and the VIP series. Cabernet, Sauvignon, Pinot, Chardonnay, and Merlot are few of the vigorous ordinary wines accessible for your pleasure. High quality wines are stowed in the “Golden Collection” and are specially featured with agglomerate cork. Each of the bottle is specified with its respective collection date and vintage year. Varying from Alb de Milestii Mici 2012, Traminer 1988 to the Aligote 1991— picking your favored bottle is limitless. The Sparkling wines are very much in demand on different markets, producing about 10 notable types of wines. On the other hand, the collection wines are composed of elite wines that are bottled with natural cork and covered in a unique design of an ancient map. Placed in oak barrels, these wines have dual maturation and are also kept in the “Golden Collection”. Some of these exclusive wines include the Feteasca 1990, Gratiesti 1986, Negru de MIlestii Mici 1986, 1987, and Purpuriu de Purcari 1987. Meanwhile, take a walk and witness the mesmerizing display of red and white fountains. Feel at home and stroll around the stunning beauty of the place, at the same time watching the flow of wine drops. While on your trip, you can enjoy wine tasting of different flavours. The entrance of the rooms is through barrels and designed in a Moldovan style decorated with three elements— water, tree, and stone. Inside the tasting rooms, indulge in the Moldovan wine cellar feels, sculpted in warm shades of chairs, sculptures, and a large wooden table. Wine tasting is accompanied by varying snacks and lunch. And while you’re savouring the taste of wide ranged wines, which would be introduced by your guide, you will be serenaded by the folk songs of the Moldovan “Lautari” band. Some of the most well-known are Butoias, Express, Classic, and National. For Butoias, you’ll experience a degustation of 2 high quality wines— 1 sweet wine and appetizing snacks of assorted cheese, pies, fruits and biscuits. With Domnesc, you’ll have degustation of 7 wines— a variety of sparkling wine, collection wines, and red and white wines, with assorted meat, vegetables, pies and more. Milestii Mici’s programs of tasting include Moldova, with a degustation of 5 wines; Favorit, with a degustation of 7 wines; Pastoral, with a degustaion of 3 wines; Stuguras, Butoias, Haiducesc, Moldova and Regal. Your choices of dishes and wines all depends on your taste and preferred diet. Moreover, you can also take a visit to the Milestii Mici museum-store and underground galleries. Lengthening about 200 km, the galleries characterize a combination of tradition, flavour and history, leaving tourists dazed in having a second time around. You can either use a car or you can also walk through the Aligote, Cabernet, Feteasca streets and be enthralled with the pleasantness it bring. While you are wandering inside the cellar, the guide will give you a rich history of the Milestii Mici, the outstanding wine industry of Moldova, and offer you a lecture on how to properly keep the bottles, its bouquets and flavours along a collection of wine samples. The enormously celebrated Mileștii Mici is not the only wine cellar Moldova is honoured to claim of. Moldova also holds off the second largest wine cellar in the world, next to Milestii Mici— Cricova Underground City that stretches about 70 km and clutches a collection of 1.2 million bottles. The extensive wine cellar is renowned for its massive labyrinths. An exotic and interesting place, Cricova cellars are also intended for visitors to appreciate and delve more about the wine industry, and of course, to savour excellent wines and delicious dishes. Moldova is the utopian destination of the world’s greatest wine-making, luring tourists across the world with its magnetic charm. Truly, a Moldovan trip is absolutely worth the cash, especially if you’re a self-confessed wanderer and wine lover.